-- When her mother dies, fifteen-year-old Keelie Heartwood is forced to leave her beloved California to live with her nomadic father at a renaissance festival in Colorado. After arriving, Keelie finds men in tights and women in trailer trash-tight bodices roaming half-drunk, calling each other lady and lord even after closing time! Playacting the Dark Ages is an L.A. girl’s worst nightmare. Keelie has a plan to ditch this medieval geekland ASAP, but while she plots, strange things start happening—eerie, yet familiar. When Keelie starts seeing fairies and communicating with trees, she uncovers a secret that links her to a community of elves. As Keelie tries to come to grips with her elfin roots, disaster strikes, and Keelie’s identity isn’t the only thing that’s threatened. 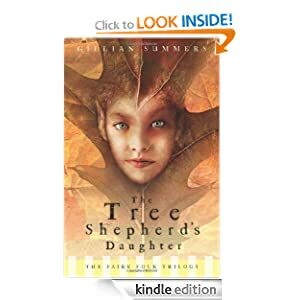 Tree Shepherd's Daughter or to sample this book for FREE! -- Maggie has just returned home from a long stay in the hospital to repair the leg that was badly injured in an automobile accident; Caleb has just returned from prison, where he served nine months for driving the car that hit Maggie. In spite of a court order to stay away from her, Caleb continues to encounter Maggie and even ends up working for Mrs. Reynolds, the same elderly lady who Maggie helps. Telling the story in alternate chapters, Elkeles reveals the traumatic accident and its consequences from both victims' points of view. Maggie can no longer play tennis and is now convinced that she is ugly; Caleb must endure the harassment of his former friends, especially the beautiful, seductive Kendra. Elkeles creates raw emotions, dialogue, and high-school ambiance that's just right. Maggie and Caleb are complex and authentic teens whom all readers will embrace. Theirs is a delicate, delicious love story -- without the happy ending. 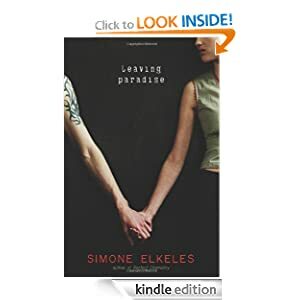 Leaving Paradise or to sample this book for FREE! -- Everyone has a secret. But Lucy's is bigger and dirtier than most. It's one she's been hiding for years-that her mom's out-of-control hoarding has turned their lives into a world of garbage and shame. She's managed to keep her home life hidden from her best friend and her crush, knowing they'd be disgusted by the truth. So, when her mom dies suddenly in their home, Lucy hesitates to call 911 because revealing their way of life would make her future unbearable-and she begins her two-day plan to set her life right. With details that are as fascinating as they are disturbing, C. J. Omololu weaves an hour-by-hour account of Lucy's desperate attempt at normalcy. Her fear and isolation are palpable as readers are pulled down a path from which there is no return, and the impact of hoarding on one teen's life will have readers completely hooked. 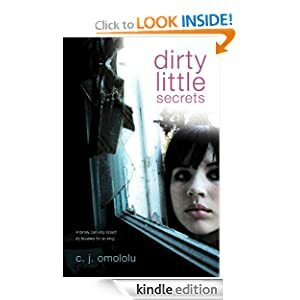 Dirty Little Secrets or to sample this book for FREE! -- The moment Amber starts her summer job in Scotland and sets eyes upon Aidan, her fate is sealed. Summoned by an ancient bond, she can never love another. Lost in the woods one night Amber enters Aidan's deadly world when she unknowingly participates in a paranormal race and promptly wins the first prize...a prize worth killing for. In a world of forbidden love, ancient enemies, legends and rituals, nothing is as it seems and no one can be trusted. Life will never be the same again, unless she enters the Otherworld. 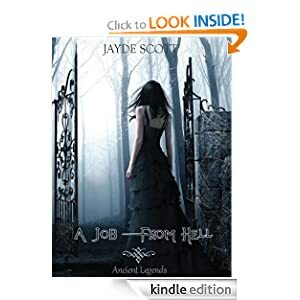 A Job From Hell or to sample this book for FREE!